It's a simple truth that the film industry simply doesn't know how to deal with ethnicity in general and ethnic families in particular. Political correctness may shape their character sympathetically, but the stereotyping is there, in the form of their Otherness. This gets translated into a one-dimensional focus of their cultural stereotype: If black, they're ultra cool, ultra loud, ultra street - especially if they're in a starring role. Middle-eastern characters are suspicious and argumentative and always upset that they're being profiled by society. Hispanics and Asians - well, when was the last time you saw them at the multi-plex in a leading role? Ethnic families in film usually fare poorly and viewing My Big Fat Greek Wedding 2 explains it all. The first MBFGW movie (2002), was a gentle and sweet look at a woman who blossomed because she dared to step out of her cultural comfort zone. She saw her family - and by extension, herself - as The Other: loud, smothering, different and without any emotional borders. Toula went from 'frump girl' to running a business and enjoying a warm, loving relationship, which culminated in the happy Big Day. Ian, her WASP fiancée, encouraged her to embrace this unique heritage while growing as an independent person. Of course, once her family got them into a house next door, it pretty much sealed her future fate and ours. The $368 million box office receipts showed that audiences were receptive to the big-hearted Portokalos immigrant family and it was a sure bet that we'd get an invitation to a sequel wedding. 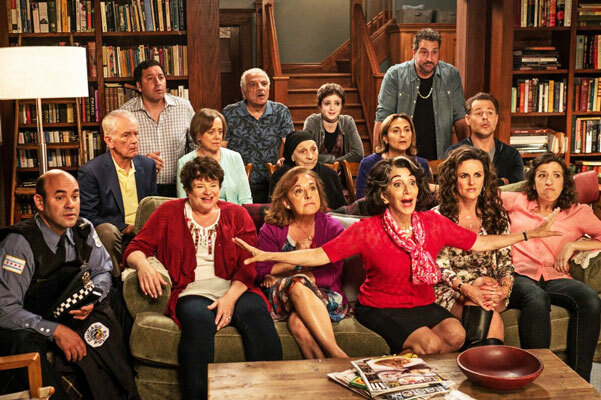 My Big Fat Greek Wedding 2 revisits the same family 18 years after Toula's raucous event. Now pushing 40-something, she's still stuck with no life, as she smothers her daughter 24/7 while working at the restaurant. The travel agency is closed, but instead of creating another career for herself (like her husband has), she guilts herself into going back to Zorba's Restaurant and helping out her ever-demanding family​. Tucked into Toula's story is the all-too familiar tale of Motherhood, where a three-dimensional woman becomes a shadow of her former self, locked in a stifling cycle of over-protectiveness and codependency that comes from too much parenting and zero self-nurturing. Nia Vardalos' heroine becomes the poster girl for a 12 step program as she careens from one family crisis to the next, trying to fix every situation while she wonders why she can't stop the madness. The second installment is even funnier than the first film, which helps take the negative edge off, but the current trend of cinematic excess wraps MBFGW2 in one messy baklava. As the title suggests, the comedic foil for Toula's more serious saga is her large, over-bearing Greek family - and another wedding. Gone is the fuzzy sweetness of the extended Portokalos clan and in its place is one big fat Greek stereotype on steroids - an ethnic family that yells together, panics together and thinks everyone else is crazy. MBFGW2 is a cautionary tale of what happens when you take a great idea, squeeze all the substance out of it and pump up the volume. What remains are cardboard characters, left over from another era, seemingly out of place in an age of cultural awareness. 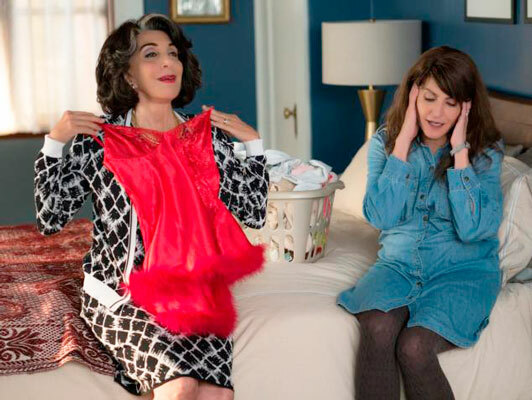 The cast, again headed by Ms. Vardalos, does a fine job with the smaller vignettes, but struggles unsuccessfully under Kirk Jones' direction and manic pacing. Nia Vardalos' screenplay is very good, but whose idea it was to add co-producer Rita Wilson (Mrs. Hanks) and John Stamos in an empty cameo spot? Playtone took the easy way out with MBFGW2, resorting to cultural caricatures to get laughs and are now paying for it at the box office. Hopefully Playtone will take a cultural sensitivity seminar before the inevitable third installment is announced.